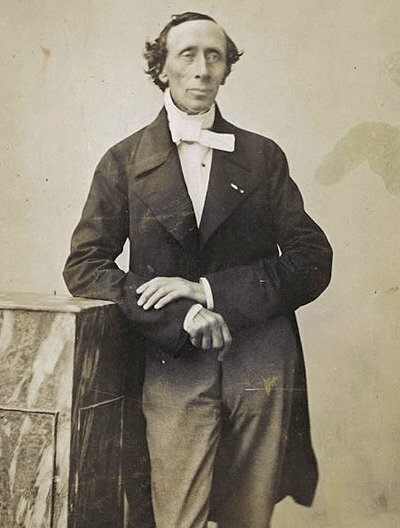 Below is an excerpt from Hans Christian Andersen’s travel memoirs A Poet’s Bazaar: A Journey to Greece, Turkey and Up the Danube, about Easter festivities in Greece in the 19th century, specifically the early 1840's. The Easter of the Catholics in Italy, and particularly in Rome, is grand, fascinating; it is an elevating sight to see that immense mass of beings fall on their knees in St. Peter’s Place, and receive a benediction. The Easter festival in Greece cannot show such magnificence, its resources are too small; but after having seen both, one comes to the conviction that in Rome it is a feast which in its glory and splendor issues out from the Church to the people; but in Greece it is a feast which streams from the heart and thoughts of the people, from their very life; the Church is but a link in the chain. Previous to Easter there is a long and rigorous fast which is religiously observed, the peasants living almost entirely on bread, onions, and water. The Athenian newspaper appeared on Good Friday with a black border, in memory of the death of Christ: the vignette-title was a sarcophagus with a weeping willow, and above it was a poem on the Passion by Lutzos. The festival itself began that evening. I went to the principal church; it was splendidly illuminated and completely full: before the altar stood a glass coffin, fastened with silver plates. The coffin contained fresh roses, intended to represent the dead Saviour. A strange humming of voices from the praying congregation sounded through the house of God! Priests, in parti-colored vestments, and bishops, came and went before the altar where they read the prayers. At nine o’clock in the evening sacred music began, and the procession started from the church through the chief street, to the palace. I saw the slowly moving procession conveniently from my window; it was one of the most solemn I have ever seen. It was a glittering starlight night, so mild and calm! Every spectator in the balconies and open windows stood with a burning candle in his hand. The music ascended to us from the side-street, the smell of incense filled the air. Mournful music proceeded from the military bands as though the people carried their King to his grave. The coffin containing the fresh red roses was borne along, surrounded by the priests; over it hung a long red mourning veil which was held by the chief statesmen and higher officers of the kingdom. A crowd of these officers, and then the great mass of people, all, as I have said, with burning candles, concluded the procession. There was a stillness, an apparent sorrow or devotion, which worked its effect upon every mind. The Bishop made a short speech outside the palace where the King and Queen stood, and then the King kissed the holy Gospel. During the whole ceremony there was a monotonous ringing of bells, always two strokes and then a short pause. Day and night the church was filled with people. The King, the Queen, and the whole court were there on the midnight before Easter Day: the priests stood praying and mourning around the flower-filled coffin; the whole congregation prayed in silence. The clock struck twelve, and at the same moment the Bishop stepped forth, and said: "Christ is risen!" "Christ is risen!" burst from every tongue. Kettle-drums and trumpets sent forth their strains; the music played the liveliest dances! The whole people fell on each other’s necks, kissed, and joyously cried, "Christ is risen!" Shot after shot was heard outside; rockets darted into the air, torches were lighted, men and young lads, each with a candle in his hand, danced in a long row through the city. The women kindled fires, slaughtered lambs, and roasted them in the streets. Little children, who had all got new fez and new red shoes, danced in their shirts around the fires, kissed each other, and exclaimed like their parents, “Christ is risen!” O, I could have pressed each of these children to my heart and exulted with them. "Christ is risen!” It was touching, elevating, and beautiful. It may be said that the whole was a ceremony; and it may be added, certainly with some truth, that their rejoicings expressed the satisfaction of the people that the rigorous fast was over, and that now they could eat their lamb, and drink their wine: well, admit that the fact was so, still I dare venture to say there was something more; there was a true, a sincere religious jubilee. Christ was in their thoughts, as on their lips. "Christ is risen!” was the mutual assurance, made as though it were no by-gone event; no, it was as if it had taken place on that night, and in this land. It was as if the assurance had reached their ears at that moment, and for the first time. There were music and dancing everywhere in the capital, and in every little town throughout the kingdom. All labor was suspended, every one thought only of pleasure; there were dancing and mirth near Theseus’s Temple and under Zeus’s marble columns. The mandolin twanged, the old joined in the song; and during the general joy the words of welcome and leave-taking were: "Christ is risen!"